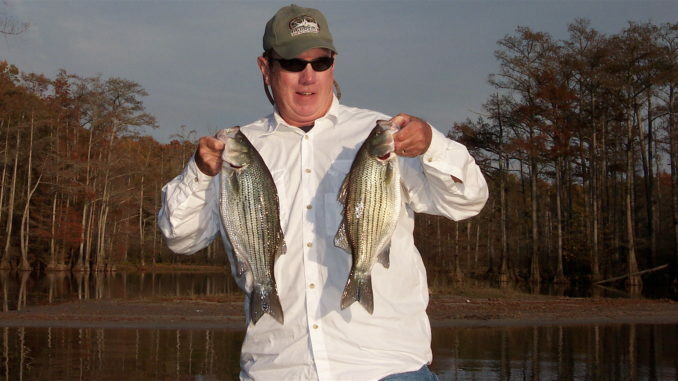 John Alford of Brandon spent many October days in past decades catching hybrid striped bass on the Pearl River above Barnett Reservoir. He’s hoping a big stocking of the fish will lead to another run this year. Breaks near the waterline in the many jetties of the Mississippi River provide anglers a perfect ambush point for white bass. 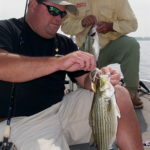 Hybrid striped bass can be caught on a number of lures in the upper Pearl River area of Barnett Reservoir, where they follow migrating shad. The flat-sided flounder is sporting on the hook and delicious on a plate. In October, these odd fish start returning to the shallows along the Gulf Coast. 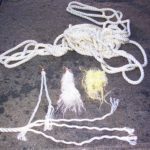 All that’s needed for catching gar is a 12-inch piece of nylon rope passed through a big swivel and then unwound and frayed. The finished lures in the middle show the stages of use — new (left), after catching a few in the middle and battle-worn (right). 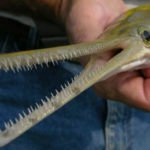 The hundreds of needle-like teeth of a long-nose gar make it vulnerable to a piece of frayed rope used as a hookless bait. As soon as the grub floated through the gap in the rocks and fell on the deep side of the jetty, Sid Montgomery felt the slightest bump and saw the faintest twitch in the line. A millisecond later, his light-action rod was bowed in a big arc, and the fight was on. A minute later, the backbone of the rod had done its job, the 6-pound test monofilament line had withstood the abrasion of the rocks and the fish, about 15 inches in length was in the net — about a 2-pounder. 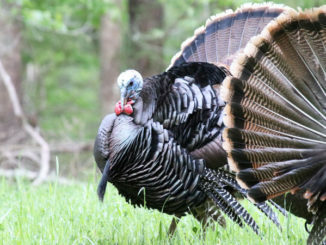 October is a great time to be a sportsman in Mississippi, and not just because hunting seasons have started to arrive. The transition between seasons is also a great time to be on the water. Fish know winter is coming and sense that it’s important to eat heavily before food sources become less available and expending energy to chase it less desirable. Autumn also opens a door to some fishing opportunities. 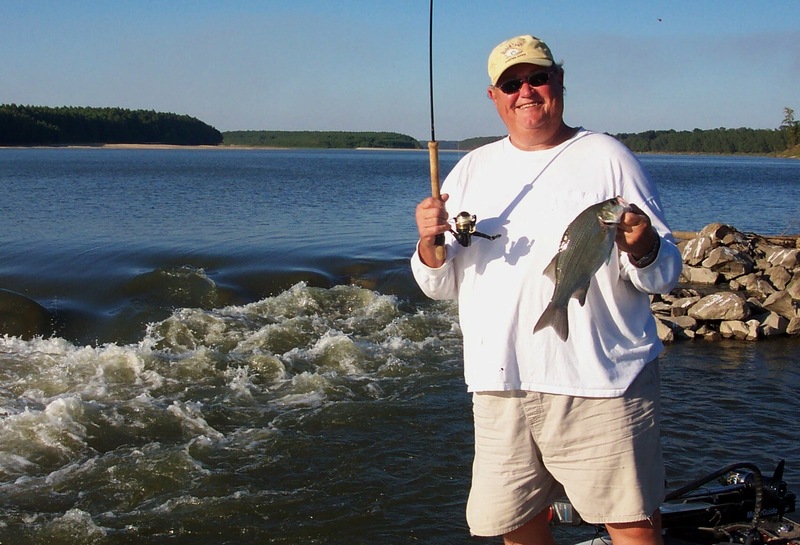 With a little imagination and basic information, some exciting adventures are available on the water, some that put delicious fish on the table and some that just provide fun. Here are four of those October oddities that are worth the effort. Montgomery’s love of the Mississippi River runs as deep as some of its waters, and white bass are a big part of it. “I wish I knew why so few people find white bass so unappealing,” he said. “From a sporting standpoint, they’re as much fun to catch as anything swimming, and there is no limit. From an eating standpoint, if they are cleaned and prepared right, I’d put them up against crappie or any other freshwater fish. Catching that many is not as difficult as one would think. 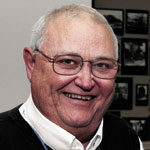 Montgomery has two basic patterns he uses to find whites, and both involve current and current breaks. The perfect scenario, Montgomery explained, is a jetty a foot or two above the water level at some point along the rocks. Parts of the jetty may be 10 feet out of the water, but another part or parts will be lower, with water spilling through breaks in the rocks or running over the tops of the rocks. Montgomery uses several lures to take white bass, but his favorite is simple enough: a 1/8-ounce jighead with a 2- or 3-inch pearl white grub. It’s a bait he can use to most closely mimic the natural feeding process that occurs in the jetty breaks. He positions the boat close enough to the break to cast the jig above the jetty, and then holds his rod tip very high to carefully dance it through the rocks until it gets through a gap. “Once it gets to the down side of the break, I lower the tip and let the bait fall,” he said. “That’s when they’ll hit it. You have to watch your line and have a finger on the line, because the hits are hard to detect. Montgomery uses the same technique with a small spinnerbait like a Road Runner or a Mepps inline spinner. 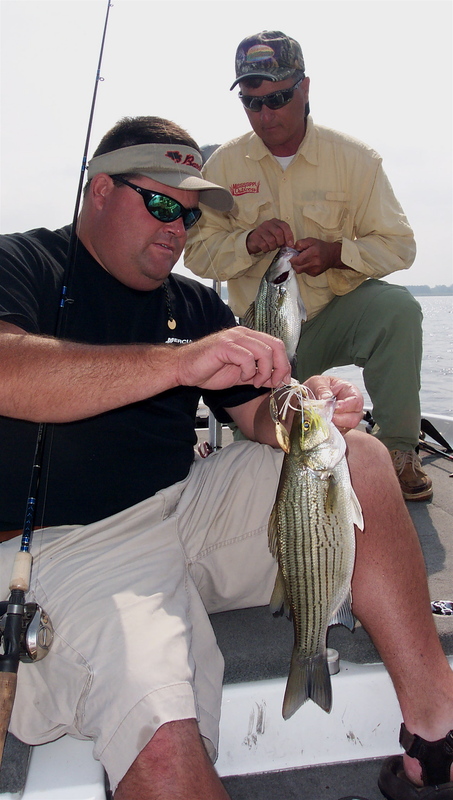 Another hard-to-skip October opportunity — and one that fishermen have been forced to skip over the past decade — is chasing hybrid stripers on Barnett Reservoir, especially on the upper reservoir area on the Pearl River. Hybrids are kin to the white bass since they are a cross between white bass and striped bass bred in a fish-hatchery lab. 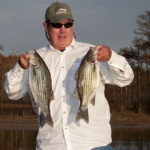 Hybrids are a mobile lot, fish that will swim miles in a day to pursue shad. In October, shad on Barnett are well into their migration from the main lake up the river. Hybrids, when they are stocked in The Rez, spend the summer on the open water and then follow the migrating shad. It creates a wild and crazy fish bite that hasn’t been seen in years. That will change this month, since hybrids were heavily stocked in 2017. “I’m looking forward to the fall this year,” said Jerry Thomas of Brandon. “We haven’t had the hybrids like this in years. I heard they stocked them good last year, and this summer I’ve encountered big schools of them in the 12- to 14-inch range. That’s too small to keep, but they are growing fast. They were like 10 to 12 inches in May when I first found them and were pushing 14 inches by mid-August. 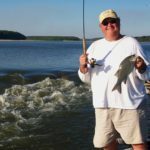 John Alford of Fannin is a fisherman who used to chase the hybrids up the river in the fall, and he was delighted to hear the fish may be available to catch this month. One spot that Alford used to hammer them regularly is about as odd as you’d find: a long, deep (10 to 12 feet) flat that is completely devoid of cover between two bends in the river. It is located just as you leave the no-wake area at Flag Island. Fortunately, Alford called me that night and invited me along the next day. We ran straight to the spot, and the insanity resumed immediately and was non-stop between 8 a.m. and noon. They were still biting on nearly every cast when we’d had enough. In addition to the crankbaits and grubs, Alford also likes a tail-spinner, like the original Bob Ponds-made Whing-Ding. Alford found two or three similar flats that all held fish. Flounder may not be the most-curious fish in the Gulf of Mexico, but they are sure odd with their flat bodies and both eyes on one side of their heads. Their bottoms are white, their tops a mottled dark-grayish brown. They do top a certain list for many fishermen: ones they like to eat. 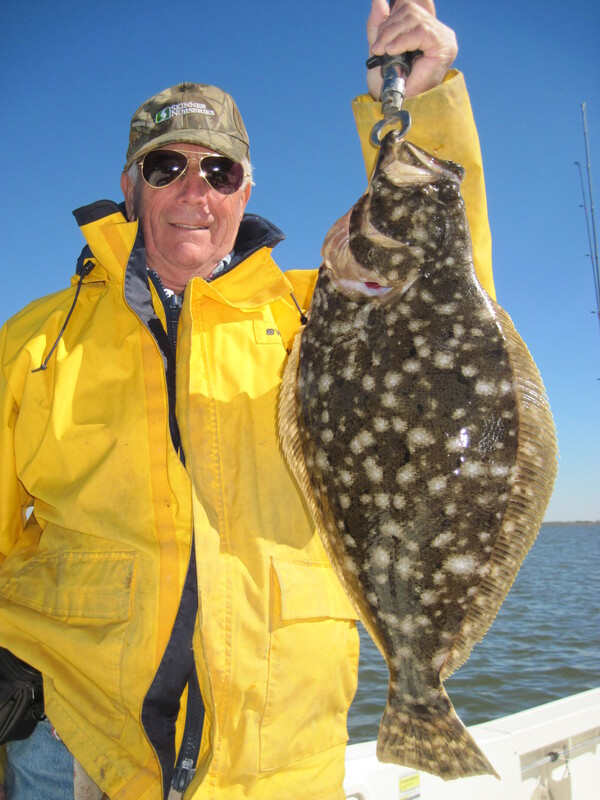 Flounder move back inshore in the fall and feed heavily on the edges of bayous and coves, ditches and shell beds. 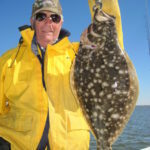 Flounder rely on scent to eat and prefer live or cut bait. They will hit an artificial lure but are 10 times more likely to hit it if it is adorned with a piece of cut bait or a dead shrimp. The rig allows the bait to float just off the bottom as it is retrieved slowly across the bottom. Gar fishing is not for everybody, but for fishermen who like to live on the edge, it’s a blast. 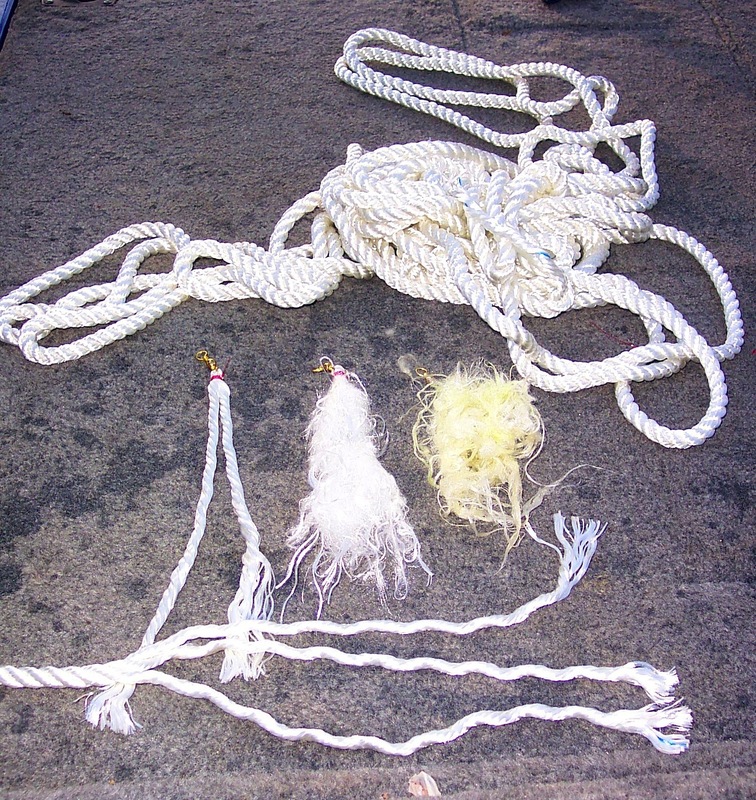 Beason uses frayed rope for a lure. There’s no hook involved. “We call it Velcro fishing,” he said. 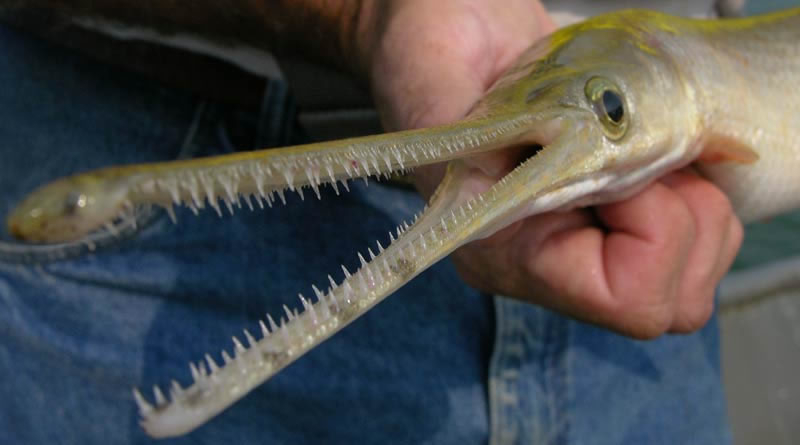 “The gar we’re targeting — long-nose, short-nose and spotted gar — all have hundreds of hypodermic needle-like teeth. When they hit that frayed rope they get hung up like Velcro. The more they shake, the more they roll, and the more they fight, the more they get caught in the rope. As long as the water is warm, gar will stay near the surface and continually rise to gulp air for their swim bladders. That is what Beason looks for. The later in the summer or early fall that you get, the more likely you are to find big gar hanging out in big schools of the same size. Beason and I found a wad of them balled up inside a roped-off swimming area below Sardis Dam and caught about a dozen 15-pounders in a row. Warning: Take thick gloves and some long needle-nose pliers along on the trip. Removing the rope from teeth can be hazardous to finger tips.